3D Minnie Mouse Crystal Puzzle | Assemble a statue of your favourite Disney mouse! It's everyones favourite mouse spouse! 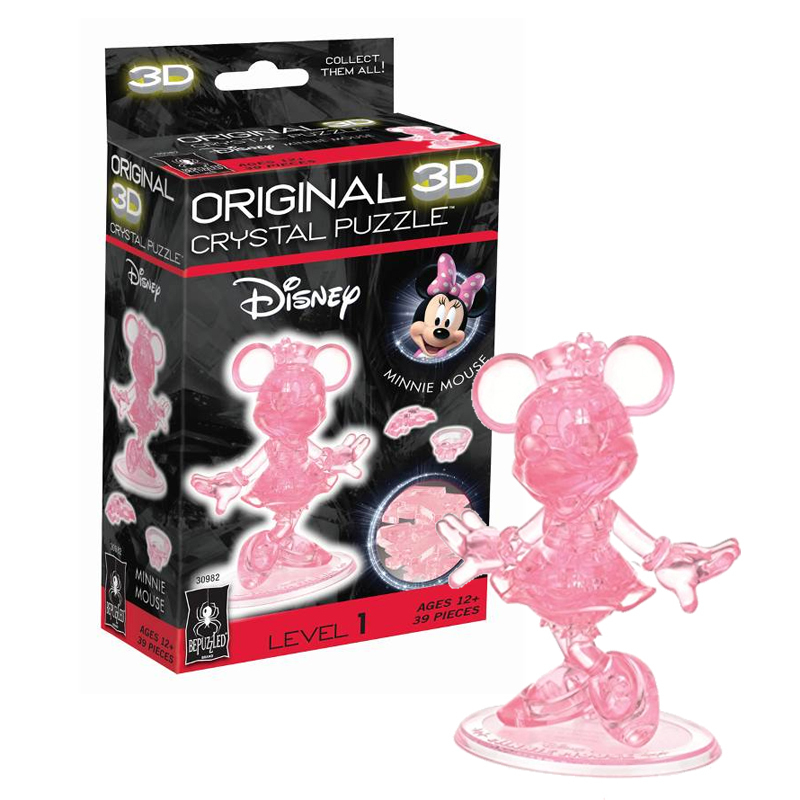 Your Minnie Mouse 3D Crystal Puzzle is a unique new way to put together a puzzle! Instead of a flat 2D jigsaw, you must assemble a translucent 3D statue of your favourite Disney mouse complete with stand! It comes with 39 interlocking pieces that will challenge you as you piece them in place. Your completed project is a sleek, glossy, pink Minnie Mouse wearing her iconic flowing skirt, standing with her arms spread at her sides! But don't be deceived, this hand-sized puzzle can be quite challenging! With the correct preparation, follow the instructions step-by-step to complete your project. Don't forget to collect the other Disney characters such as Mickey, Winnie the Pooh and Dumbo!